2018 saw the rise of powerful females in country music, and this new album from Cassadee Pope is certainly paving the way for her to enter that arena. She’s even been given the accolade of headlining this year’s ‘CMT Next Women of Country Tour’. My love of country music stems from the power it has to evoke a picture in your head, songwriters have this innate ability to tell you a story in under 4 minutes and ‘Stages’ is no different, every song tells a story. It plots the troubles that Cassadee has faced over the past few years, including leaving her label Republic Records, ending her engagement and the tragic death of one her best friends. The next track ‘One More Red Light’ is a previously released single and will get you singing along right from the first chorus. It follows much of the same theme as ‘Take You Home’ about driving round town and enjoying the honeymoon period of a new relationship, the exciting times when you don’t have a care in the world and your loved one by your side. Whilst the album has that bouncy side to it, there is a definitely an air of reflection too. And mid-way through we have ‘Gavi’ I must say I was a little shocked when I first heard this as it’s a simple piano instrumental track. However, it provides that space to really think and reflect, which is clear that’s what Pope has been doing over the past years. The song is also a memorial for her long time best friend, Jason Gaviati, who passed away in 2015 after losing his battle with cancer, it’s a stunning tribute, one thing I’d like to know is if it was played on one of his pianos; back in 2016 she posted on her Instagram that she was writing on one, how spectacular it would be if this track was indeed recorded on his instrument. The album finishes with the song ‘I’ve been good’ it’s a melodic number, and really sums things up nicely “I’ve been good at looking people in the eye, and saying I’ve been good” It will be a track that so many people can relate too, how we all try and put on that mask when really things are dragging us down inside. 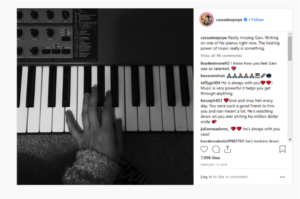 The whole album follows a journey as Cassadee is trying to rebuild herself following heartbreak and troubles, something so many of us can easily recount. Pope has come a long way since she stood on ‘The Voice’ stage eagerly hoping one of the judges would spin round those elusive seats (little did she know they all would!) but six years on from her debut album ‘Frame by Frame’ I think she’s matured both musically, and vocally and this album certainly hits all the right notes. 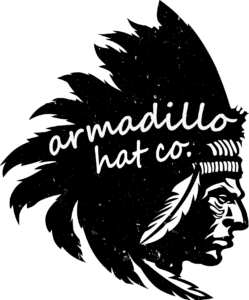 It’s a great start to the year, and some of these tracks will definitely be featured on many summer playlists I’m sure! 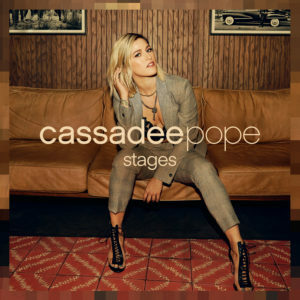 Cassadee Pope’s ‘Stages’ is available now. You can download it on iTunes here.